Using the Sense HAT on the Raspberry Pi you will learn to interact with the real world through the various on-board sensors. You will use Python (as the programming language) to create different types of animations on the SenseHAT LED’s, measure the room atmospheric pressure and room temperature, measure the speed at which you are traveling, measure the humidity of the air in the room, etc. You will capture the measured values and display them using the on-board RGB LED’s. The Sense HAT also comes with a joystick which you will program to create interactive animations and games on the Raspberry Pi. 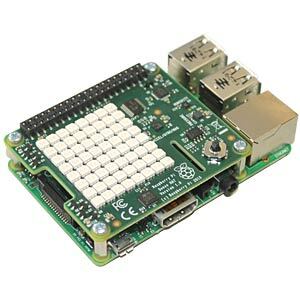 Our primary language of development on the Raspberry Pi and SenseHAT will be Python. Depending on where you live you might also be able to pick up the Rasbperry Pi and the Raspberry Pi SenseHAT add on board at your local electronics hobby store. Lesson 5.1 – Where is the treasure ?